David Harvey is a partner in the Tampa office of Lewis Brisbois and a member of the Labor & Employment Practice. Since 2001, David has been Board Certified by the Florida Bar in Labor and Employment law. He is also a Florida Supreme Court Certified Civil Circuit Mediator. He represents employers in state and federal courts across the United States, including Florida. In addition, he has represented employers in front of state and federal employment related agencies, including the EEOC, DOL, NLRB and FCHR. David’s practice focuses exclusively on representing employers in employment and labor related matters, including litigation, counseling, HR related risk management, day to day advice, training, and policy development. David knows HR. With over 25 years of employment and litigation experience, David is an aggressive litigator and competitive by nature. 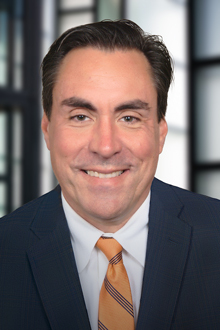 He has extensive experience developing fair and legally compliant strategies related to employment, union avoidance, and working conditions for large Fortune Rated companies and small employers across the United States. He also negotiated settlements in numerous HR related disputes ranging from a few hundred dollars to $30 million.